As the spectacle and competitive atmosphere of the Rio Olympic Games have drawn the world’s attention, hackers who use social engineering are inching closer to our private information. Although our systems may be prepared for the likes of malware and worms, social engineering is a different beast of its own. If used effectively, hackers can manipulate people into disclosing personal information, rendering security systems useless. So how exactly do they go about doing this? 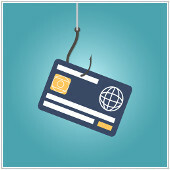 Below are five of the most utilized social engineering tactics you should be aware of. Phishing emails often appear to come from reputable sources, which makes the embedded link even more compelling to click on. Sometimes phishing emails masquerade as government agencies urging you to fill up a personal survey, and other times phishing scams pose as false banking sites. In fact earlier this year, fraudulent Olympics-themed emails redirected potential victims to fake ticketing services, where they would eventually input their personal and financial information. This led to several cases of stolen identities. Similar to phishing, quid pro quo attacks offer appealing services or goods in exchange for highly sensitive information. For example, an attacker may offer potential targets free tickets to attend the Olympic games in exchange for their login credentials. Chances are if the offer sounds too good to be true, it probably is. The unfortunate reality is that fraudsters and their social engineering tactics are becoming more sophisticated. And with the Olympics underway, individuals and businesses alike should prepare for the oncoming wave of social engineering attacks that threaten our sensitive information. Nevertheless, the best way to avoid these scams is knowing what they are and being critical of every email, pop-up ad, and embedded link that you encounter in the internet.